With "My Heart is Inditing", the overture to its first movement is not a flamboyant trumpet fanfare but a three-time andante. The first section is in D major, begun by the soloists (originally 2 singers from each group to balance against the full breadth of the orchestra) before alternating between soloists and full choir. 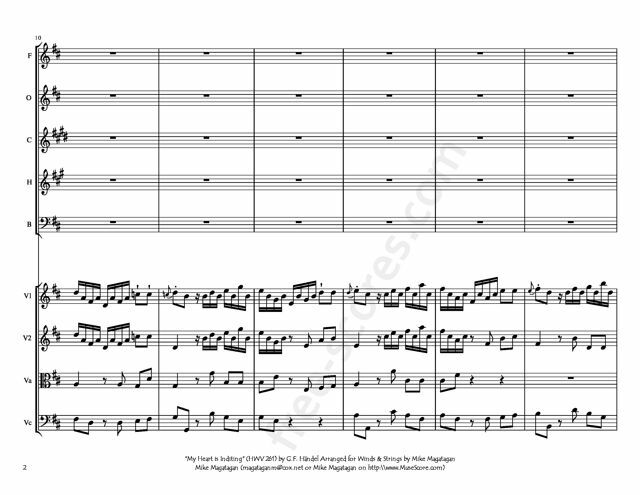 The second section is in A major and is also an elegant andante and sets up a charming base line which is taken up by the orchestra, and the melody begins with a long note followed by a casual dotted rhythm pointing out the words "King's daughters". 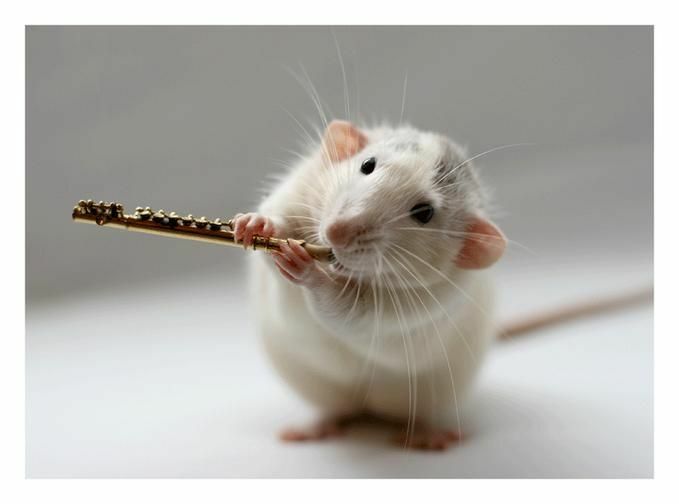 The third movement in E major is yet again an andante, keeping up the graceful and feminine air until the joyous dotted rhythm reappears on the words "and the King shall have pleasure". Handel then keeps up the allegro until the end and the orchestra begins the final movement in D major (after Isa. 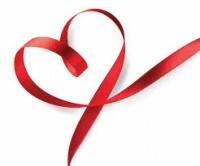 49.23) with a virtuoso ritornello before the choirs enter with all the solemn ceremonial pomp of the other anthems. Handel kept the trumpets back in reserve throughout the piece right until the end, where they add another triumphal dimension to the finale. 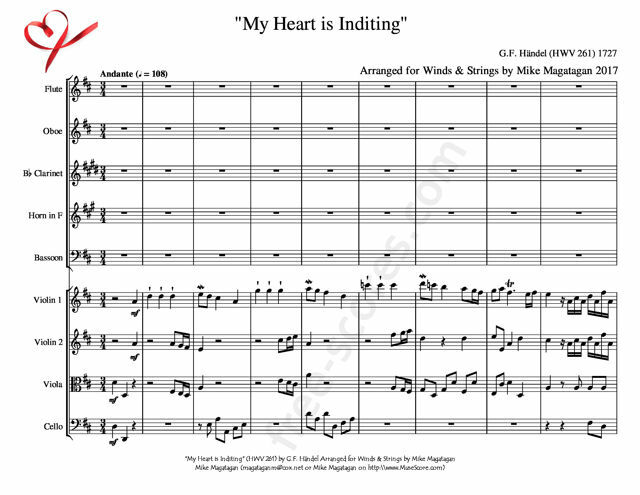 Although originally created for Baroque Orchestra, I created this Arrangement of "My Heart is Inditing" (HWV 261) for Winds (Flute, Oboe, Bb Clarinet, French Horn & Bassoon) & Strings (2 Violins, Viola & Cello).